Gareth Southgate is planning to give Jadon Sancho his first competitive England start in their opening European Qualifier against the Czech Republic on Friday, Sky Sports News understands. Marcus Rashford's withdrawal from the squad on Thursday because of an ankle injury has opened the way for Sancho to come in. The 18-year-old has played less than half an hour of competitive football with England's senior team in his three caps, though he did start November's friendly against USA. 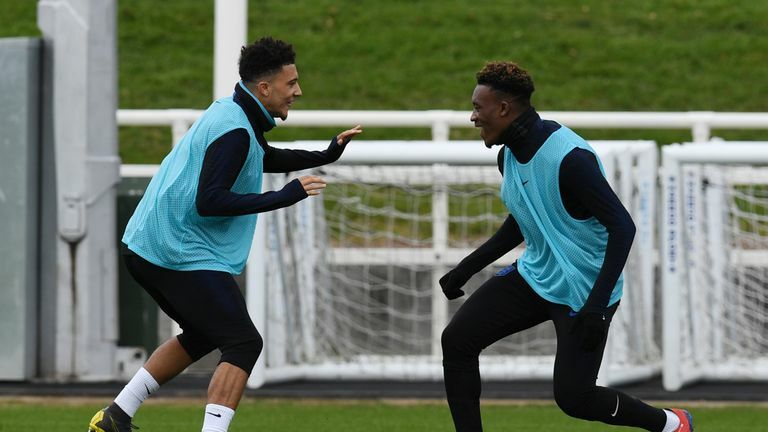 Sancho will be selected ahead of the man with whom he won the U17 World Cup in 2017, Chelsea's Callum Hudson-Odoi, who could yet make his England debut off the bench. Having left Manchester City for Borussia Dortmund in 2017, Sancho has established himself as a first-team regular for the Bundesliga side and became the first Englishman in any of Europe's top 5 leagues to reach 10 assists for the season. England begin their qualifying campaign for Euro 2020 looking to build on reaching the last four at both last year's World Cup and the upcoming inaugural Nations League finals this summer. After hosting the Czech Republic at Wembley, England will travel to Montenegro to continue their campaign on Monday.